In 2002, Sacramento native Paul Brown was looking for a change. 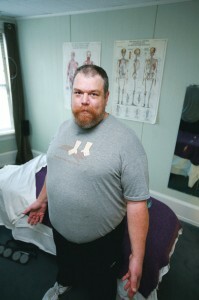 After serving in the Navy and 20 years in the IT industry, he studied massage therapy and opened a studio in San Francisco. Last year he moved back to Sacramento, and relocated his studio to the historic Ochsner Building on K Street. While some might have hesitated to locate a business as relaxation-oriented as a massage studio in the heart of Downtown, Brown is excited about the ongoing efforts to revitalize K Street. Rather than just observe the process, he decided to make his business a part of it. Massage gift certificates make a great gift for the habitually stressed, or those who might appreciate a gift they don’t have to find a place for on their shelf.